This CD and the accompanying book of transcriptions document the music of 13 melodies in the guqin handbook Zheyin Shizi Qinpu (<1491). They were made with the assistance of a grant from the Hong Kong Arts Development Council (1996). Recording Details includes specific information about the process of making the recordings. 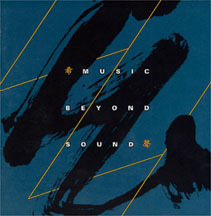 The completed CDs were delivered to me in Hong Kong in January 1997. Until there is international distribution they are only available directly from me. (Occasionally they have also been available from the shops listed at the bottom of this page. For this recording Mr. Shum Hing-Shum kindly loaned me a Song dynasty qin named Xiao Xiang Ye Yu. The silk strings were one of the sets from 1976. From the 1950s until 1996 virtually no recordings had been made of qins using silk strings. Now two other recent CDs have been made using silk strings: Water Immortal by Lau Choh-Wah (ROI RA961008C; HK, October 1996); and Qin Music on Antique Instruments, performed by Shum Hing-shum, Sou Si-Tai, Lau Chor-wah, Bell Yung, Tse Chun-yan (HKU001, Hong Kong 1998). These two CDs feature mostly traditional repertoire as evolved to the present. Mercedes Dujunco in the 1999 ICTM Yearbook (it was actually of the book; there was supposed to be one of the CD in the same issue, but it apparently wasn't completed. Also: Jat See-Yeu (翟仕堯 Zhai Shiyao); 別號周溪逸士. Born in Guangdong, he earned his B.A. in 1958 from Taiwan Normal University then moved to Hong Kong. 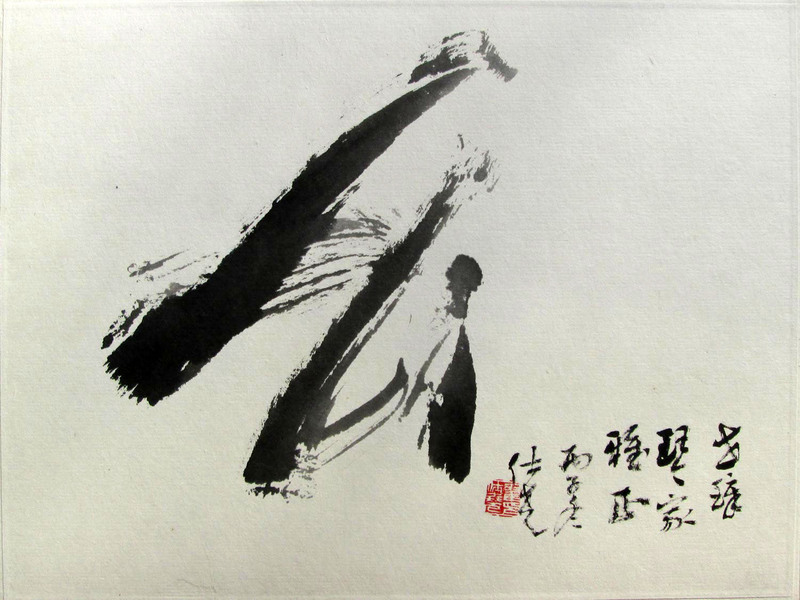 From 1978 he was an instructor in the calligraphy department of Hong Kong University's School of Professional and Continuing Education and also had positions at the Chinese University Art Deparment, the HK University of Science and Technology and the Macau University of Science and Technology. He exhibited internationally and in 2002 was awarded a "Medal of Honour" by the Hong Kong SAR government. 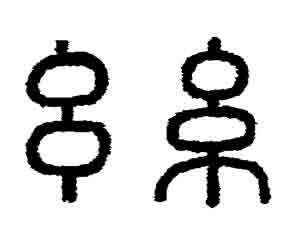 The earliest known versions of the character yao were based on ancient oracle bone depictions of a twisted silk filament that looked like this; the three dots added at the bottom of 幺 to make the modern 糸 si (silk thread, but mainly used as a radical) are said to show that there is more than one filament used to make the thread. 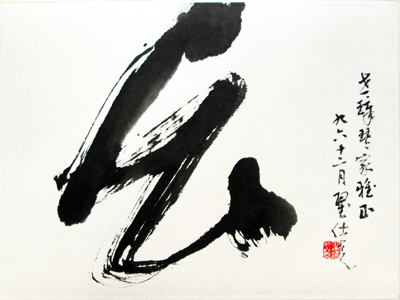 When I told Mr. Jat about my recording project, saying I wished to emphasize that the sound came from silk, since at that time all qin recordings then being made used metal strings, and then wondered whether in his calligraphy he could convey a sense of music as silk in motion, he told me to come back in a few days. When I came back he had produced about 100 examples, of which he suggested I select one. For me this was a very difficult task as so many were so expressive. When I had narrowed it down to two, and told him I was having trouble deciding on which one, he gave me two. These are shown at right. The designer decided which of the two to use.